Home » Posts tagged "PZL P.7a"
Grzegorz Szymanowski has send us pictures of his PZL model kits from Arma Hobby collection 1/72 scale. It contains P.7a and P.11c from plastic and P.11 from resin. See pictures and read Grzegorz’s notes on kits building. 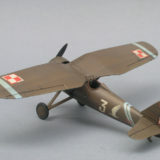 New in our model kit gallery is PZL P.7a built by Dariusz Pokorski. Let’s have a look!! Here is the PZL P.7a model built out of the box from the Deluxe Set. I made it without the photoetched part and without resin wheels, just for practising painting with Hataka Hobby. See how it came out! Third and the last story behind airplanes included in PZL P.7a Expert Set 1939 model kit. History, coulours and markings of the 162 Fighter Squadron from Lwów. Younger of Polish Fighter units, III/6 fighter wing was involved in heavy fights against Wehrmacht spearhead, attacking through city of Łódź to Warsaw. Read story of the most successful unit of the P.7a in 1939! Arma Hobby has just released new boxing of the famous “P-seven” fighter. 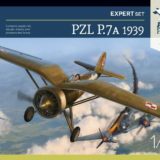 What’s new in PZL P.7a Expert Set 1939 compared to previous boxes? Let’s see content of the box! 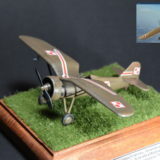 Today we present another airplane from PZL P.7a Expert Set 1939 model kit. Aircraft of the elite 151. 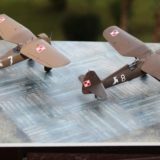 Fighter Squadron presents spectacular unit insignia and may be displayed on a very interesting diorama setting from 1939 Polish roads. Read the history and see great photos! The first of four PZL P.7a painting and marking schemes from the 1/72 Expert Set 1939 is probably the most awaited wartime scheme of 2nd Lieutenant Erwin Kawnik, deputy commander of the 123. 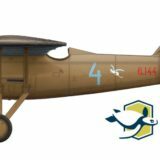 Fighter Squadron from the Pursuit Brigade in defense of Warsaw. See the photos and read the story of the airplane and its pilot! 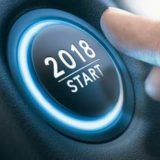 The very fruitful year 2017 is coming to an end for Arma Hobby. We released two plastic model kits in it. Plans for the next year are ambitious: doubling the result. See the preview of the next model kit! 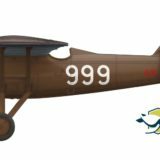 Next PZL P.7a set is recommended to more demanding modellers. Included are four markings options, photoetched fret and windscreen/wheel masks. See all colour schemes included in PZL P.7a Expert Set! Economy boxing, the PZL P.7a Junior Set 1/72 scale will be released next week. See what marking options and extra details are included in kit. 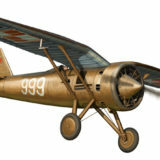 Two new PZL P.7a, 1/72 model kits, will be released in the third week of Septemeber. Today we start presentation articles that will show model box content. The first article is on box arts painted by Marcin Górecki from Poznań. See box art now and leave your comment!